These days the ketogenic diet is more popular than ever. Everyone from celebrities to your next door neighbors have jumped on the bandwagon, giving up carbs and snacking on salami like it’s their job. If you’ve ever considered trying out the keto diet yourself, then you’ve probably done a bit of research to figure out exactly how to do it. But just remember that not everything you read on the internet is factual. There is plenty of diet advice out there that’s just plain wrong. Critics are also skeptical of the keto diet, claiming that any eating plan you do that says it’s perfectly acceptable to eat nothing but a wheel of cheese in a 24 hour period can’t possibly be healthy. And of course, they have a point. If you’re considering going keto, then read on to see the most common keto mistakes people make – and then try to avoid them. Similar but not quite identical to the Atkins diet from years ago, the keto diet is a high fat, low carb method of eating that forces your body to burn fat for fuel rather than relying on energy from carbohydrates. It was originally used to treat epilepsy in children. Done properly, the keto diet forces the body into ketosis, a metabolic state which raises ketone levels in body tissues. People following the ketogenic diet report quick weight loss results, reduced appetites, improved moods, and more stable energy levels. The keto diet allows meat, fish, high-fat dairy products, non-carby vegetables, nuts, seeds, and natural oils. It prohibits bread, pasta, most fruit, processed foods, and sugar. No matter what diet plan you’re following, staying hydrated is essential for so many reasons. WebMD recommends that you should drink between half an ounce and an ounce of water for each pound you weigh every day. So if you weigh 150 pounds, your goal should be between 75 and 150 ounces of water per day. But most of us aren’t doing that and we’re suffering for it. Drinking plenty of water helps to boost your metabolism and curb your appetite. One study found that people who drink water before their meals consumed 75 fewer calories than those who did not. 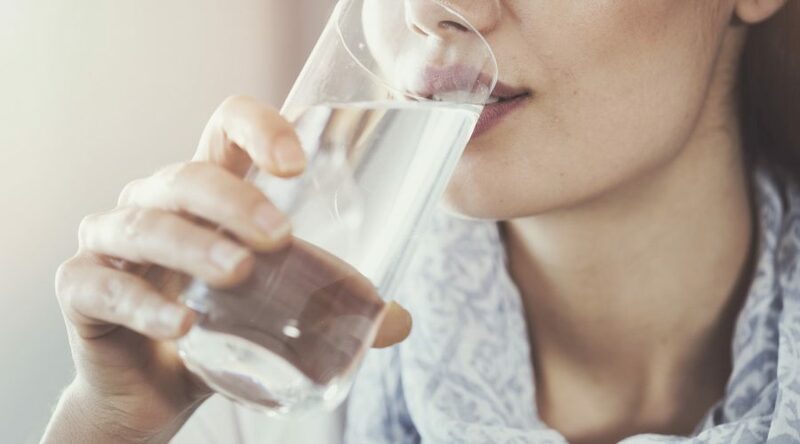 If weight loss is your goal on the keto diet, then drinking water should be your main priority. Best of all? You can drink as much as you want, whenever you want. Add some fresh squeezed lemon or lime to get a little flavor. The thing about the keto diet is that it’s largely self-guided – as long as you stick to your macro ratios, you can eat whatever you want. But spending days and nights feasting on cheese is not the healthiest option for your life. Yes, cheese is permitted on the keto diet. However, consuming excess amounts of cheese can lead to inflammation and my stall weight loss efforts. If you’re like so many Americans with a casein sensitivity, these side effects may be even worse. The best advice? Eat cheese, but in moderation. Don’t put too much cream in your coffee. Dairy can be included in your keto compliant diet, but use it sparingly as an occasional treat, not a main source of energy. One of the easiest mistakes to make on the keto diet is eating too much protein and not enough fat. Finding good sources of healthy fat is a little trickier, but it can be done. The best foods that are high fat to incorporate into your keto diet are avocados, ghee (clarified butter), flaxseed, fatty fish (wild-caught salmon, tuna, mackerel, cod), nuts, and eggs. You can certainly eat meat, but the majority of your diet should focus on healthy fats instead. It can be tempting to eat nothing but meat and cheese forever while on the keto diet. But while you must avoid carb-loaded vegetables like potatoes and sugary fruits, there are plenty of healthy veggies you can and should eat often. Broccoli, cauliflower, spinach, kale, cabbage, zucchini, green beans, brussels sprouts, and asparagus are all fair game and highly encouraged on the keto diet. Which Halloween Candy is the Most Popular?